As you know, Britain has experienced one of its hottest summers in recent memory. And while hundreds of us “thatch-conscious” gentlemen have been sporting our shorts and glowing locks in all their Mediterranean glory, the transplant market has been heating up at an incredible rate too. Worryingly, the landscape has never been as scary or as unregulated as it is today, and the number of repair patients I see is growing rapidly. In fact, desperate hair growth devotees are now faced with a very serious danger: unlicensed, unsupervised, poorly-trained practitioners masquerading as industry professionals who’ll stop at nothing to make a quick buck. The real issue here is that these people are devolving the space that many qualified and expert doctors have dedicated their lives to, and tried so hard to pioneer a safe and ethical place for desperate hair loss sufferers to seek accurate guidance. This has been my personal mission for over 10 years, yet it’s never been harder to protect new patients from making catastrophic mistakes. This has been exasperated by the vortex that is the internet, which can be a monster of fake news and false facts. It has made it increasingly tricky for genuine professionals to get the truth out there – and in doing so protect the innocent, know-no-better patients who are lining up for what is essentially a modern-day scalping because some Z-list celeb is getting paid to brag about their hair transplant procedure only to be left hanging out to dry, disfigured and depressed. Over the years, I’ve been inundated with patients seeking my guidance with hair repair who have, shockingly, been used and abused by the industry’s biggest crooks (as was I). Therefore, it’s more important than ever for me, and others alike, to be a reassuring voice for hair transplant patients and help make them aware. Personally, I feel it’s extremely important that patients, both young and old, have the opportunity to know which clinics are safe, and the ones that have no clue what they are doing. It’s a minefield out there and the buyer needs to be aware. I had a patient who was inconsolable after being told that his last session of painful surgery couldn’t be repaired as his donor region had been destroyed through some particularly shonky workmanship. Between you, me and this computer screen, I hate hearing stories like this and it fuels my desire to continue to educate, in order to help serve and protect. Of course, my heart goes out to this poor gentleman, whose level of self-esteem has been well and truly battered and may never be regained. But there’s a wider issue at play here – that there are way too many operators starting to infiltrate the industry that we have worked so hard to build a reputation for. Now, more than ever, we need to ensure we are protecting and upholding the industry as a whole, as there are many teams working hard in this space along with clinics who are doing an amazing job fighting the good fight. One such team is FUE Europe and the International Alliance of Hair Restoration Surgeons (IAHRS), headed up by world-leading surgeons Dr. John Cole and Dr. Christian Bisanga as well as the founder of IAHRS, Spencer Kobren. These two respected organisations are teaming up for an upcoming conference – the likes of which has never seen before – in Manchester in June 2019. This event will be unique among the many hair conferences available each year in that, for the first time, part of the meeting will be accessible by the general public. It is the intention of the organisers to give the public a rare inside peek at what true hair restoration education involves. Celebrity patients are intending to attend and speak out about their own poor surgeries, which will only help to raise awareness, whilst a variety of leading names in the space are out to educate and empower the patient like never before. The gloves are off and the industry is about to get exposed. Heaven only knows what’s going to get unearthed as both companies are set to take no prisoners. As the world becomes even more obsessed with appearances – particularly with the rise of social media – there are so many men (and women) out there who are so desperate they’ll jump at the cheapest, most attractive offer, regardless of the experience of the clinic and the doctor involved. Chances are you’ve seen someone out and about who’s had the misfortune of experiencing a below-par hair transplant. And if it’s bad enough to look at, imagine how the person with a disfiguring hair transplant feels every day when they see themselves in the mirror. I’ve been there and know the feeling. So has my good friend Joe Tillman who, like me, is on a mission to educate and protect the public about how to spot cowboy clinics. His popular Youtube channel is one of the most subscribed to in the space and he has a reputations for telling it how it is. Having been through dozens of procedures myself, I know first-hand the pain and emotion involved and I feel that it’s time that the shysters were named and shamed, and the list is a long one. 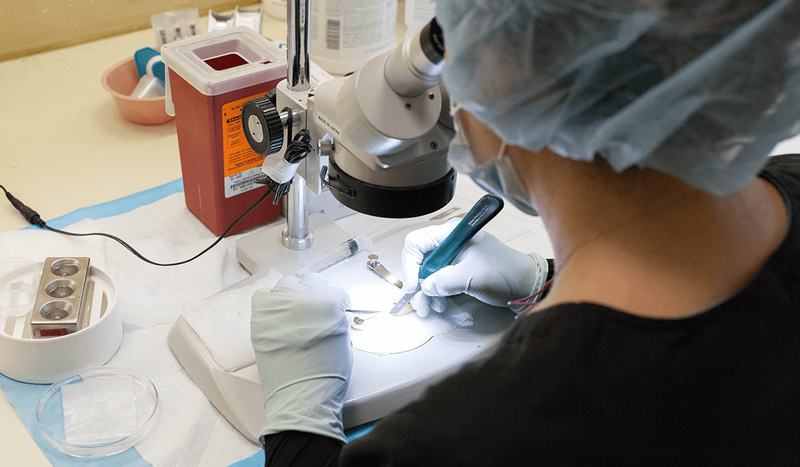 One hair transplant group that has operated under multiple variations of the “KSL” brand as it applies to hair transplant surgery, are one of the latest high-profile businesses to make headlines in various newspapers for all the wrong reasons. The brand, which had previously been championed by a number of reality TV stars including members of TOWIE, Jake Quickenden and Gareth Gates, was recently forced to close down in Scotland after claims of malpractice and complaints from various celebrities who were given botched hair jobs. In KSL’s Glasgow clinic, client Jerry Smith agreed to have a transplant procedure at a cost of £7,000, which the clinic botched and then quickly shut after a storm of complaints. Apparently, Gemmell is currently seeking permission to bring legal proceedings against KSL Hair. And the bad news doesn’t stop there. Indeed, a spokesman for the Scottish healthcare regulator that registers clinics reporting in the media, noted that it had received “a number of complaints” about KSL Hair. Unfortunately, KSL’s story (of which The Guardian has done a pretty good exposé, if you want all the facts) is just one in a growing number of clinics who are not up to scratch – wreaking havoc on an industry already struggling for credibility. According to The Times, the KSL Glasgow clinic recently filed for bankruptcy, yet the brand continues on. Two of the three former directors of the Glasgow clinic, Mr. Lloyd Hume and Mr. Simon Lindsay, started the brand back up in Kent and Manchester. Mr. Lindsay has since resigned leaving Lloyd Hume as the remaining KSL director. According to Lloyd Hume, his current “business partner” is the “director of surgical procedures”, as discussed in a recent BBC radio interview. However, records show that the director of surgical procedures was the third listed director of the KSL brand in Glasgow, so buyer beware. At a time when we’re trying to cement our reputation, I believe It’s more important than ever that we follow the truth-sayers who are speaking up and only have people’s best interests at heart. If I were to give any advice to prospective transplanters, it would be: do your research online and also in person. Visit the clinic and speak to the staff face to face and/or people you know who have had procedures. Garner as much information as you can before going ahead, so you can make an informed decision. Be wary of “celebrity endorsements” and glossy sales pitches, which can include free travel, cheap surgery and a beach towel thrown in for your trip to Turkey. Most times it just is not safe. The BBC recently opened up the door to a fly-on-the-wall documentary and if you think I’m scaremongering here, take a look for yourself. The popular hair loss call-in radio show The Bald Truth are regularly discussing these tragic realities weekly in order to try help protect the patient, but there are only so many who can be saved. I’ve been fortunate to go through numerous procedures under the guidance of excellent, caring doctors – so there are dedicated surgeons who can help. However, speaking as an ambassador for hair transplant patients, remember that surgery should always be a last resort and it’s imperative you don’t rush into this minefield. If you have any questions or would like genuine advice from someone who has “been there and done that”, please just get in touch.